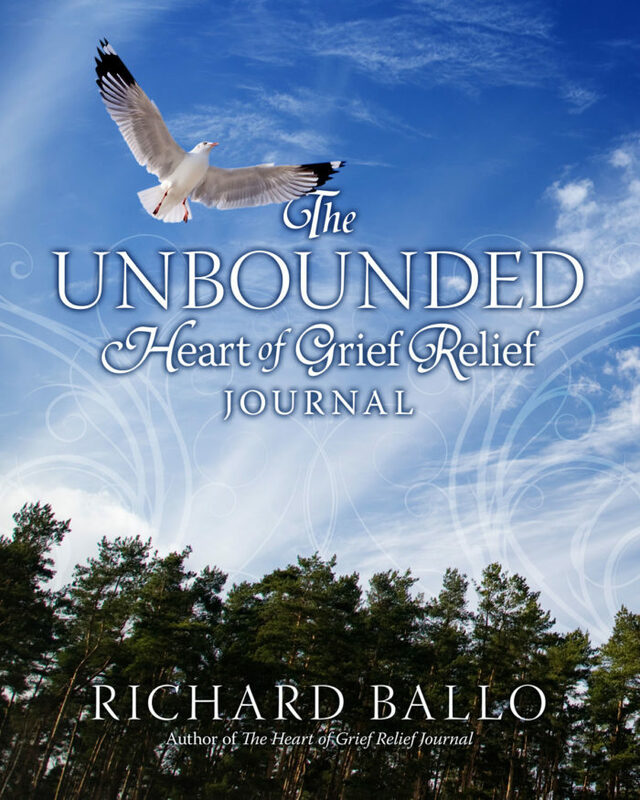 The Unbounded Heart of Grief Relief Journal is a new dimension in the journalizing process. It is made for creative and expressive drawing. 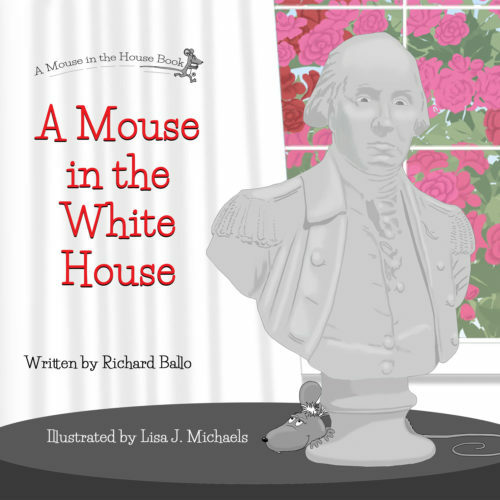 Each page contains a quote to stimulate the mind to paint, draw, sketch, doodle, or paste pictures. Use any visual format to express the grief that is inside of you. 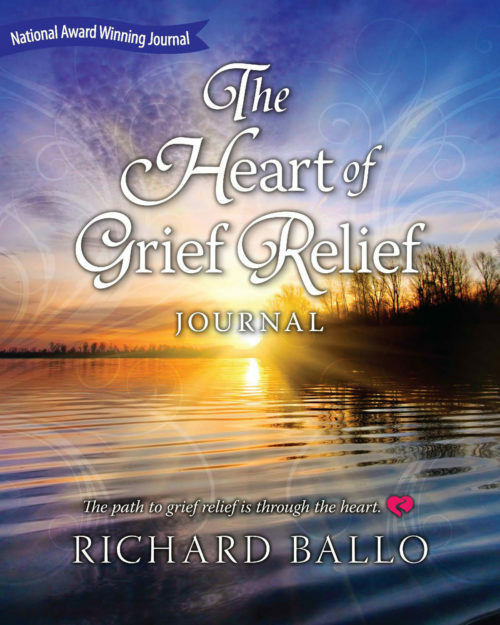 The Unbounded Heart of Grief Relief Journal – What can you do when words cannot express what you are feeling? Draw. 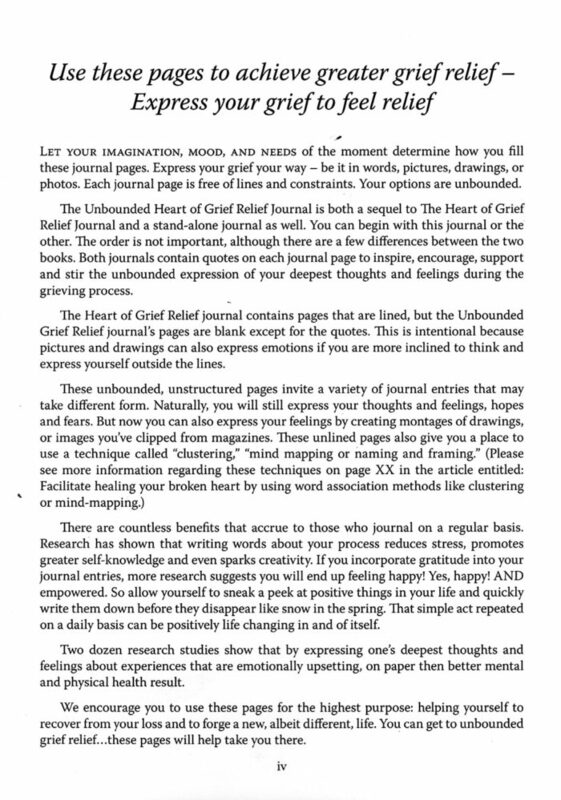 The Unbounded Heart of Grief Relief Journal, a sequel to The Heart of Grief Relief Journal, offers a new dimension to the journaling process: The room to express the feelings of the heart without words. Like The Heart of Grief Relief Journal each page contains a quote to stimulate the mind, yet here, each page is blank for creating drawings, sketches, doodles, or pasting photos and pictures taken from personal archives, magazines, newspapers or online sites, to express what cannot be said in words. 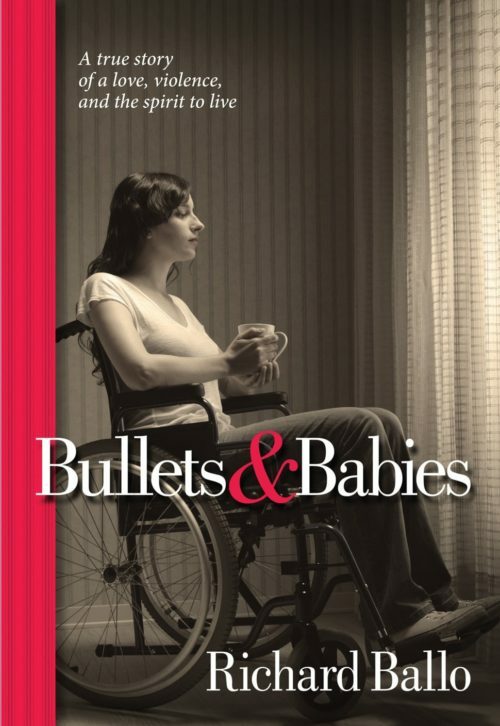 Thus, this book adds a whole new dimension to the healing process. The opportunity to fill a space without words. This journal also contains several articles about the proven power and benefits of journaling. The author uses drawings in his journal to express his wordless feelings. 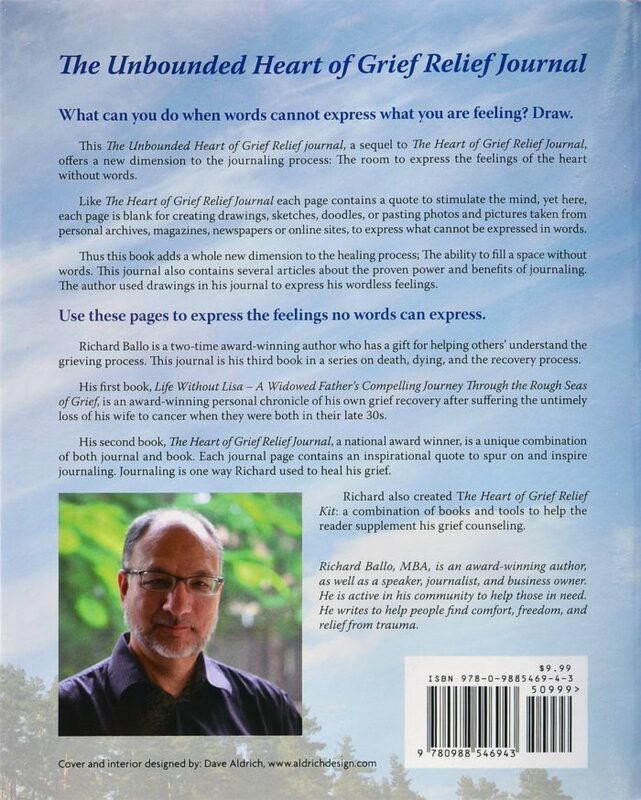 Richard Ballo is an author and speaker on healing from grief. 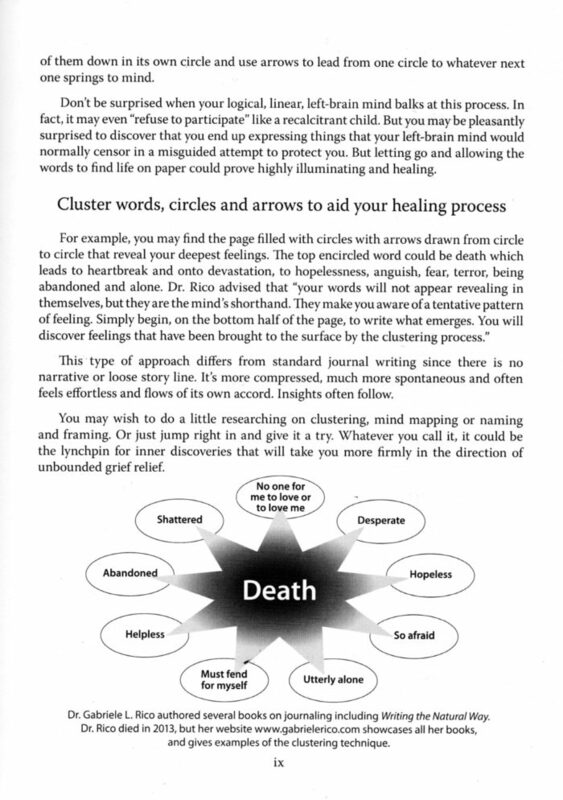 He designed this journal to help those going through grief to record their feelings without words. Richard used drawings to express his grief and the confusing feelings associated with it.